1. As kids we used to pull the seeds off meadow foxtail grass, twist the finely toothed but that was left in people’s hair and yank, pulling out a bit of hair. We called this Chinese haircuts. Circa 1970s, SE Lancs [Milnrow, Lancashire, October 2017]. 2. 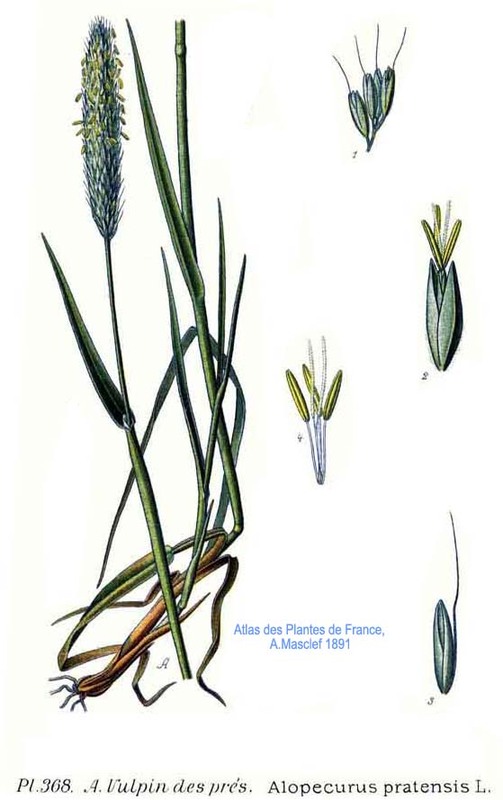 As a child evacuated to Elgin, Scotland during World War II … a grass we would not even touch was meadow foxtail, Alopecurus pratensis) because it was said to be infested with fleas [Stevenage, Hertfordshire, January 1993]. Image: A. Masclef, Atlas des plantes de France, 1891.